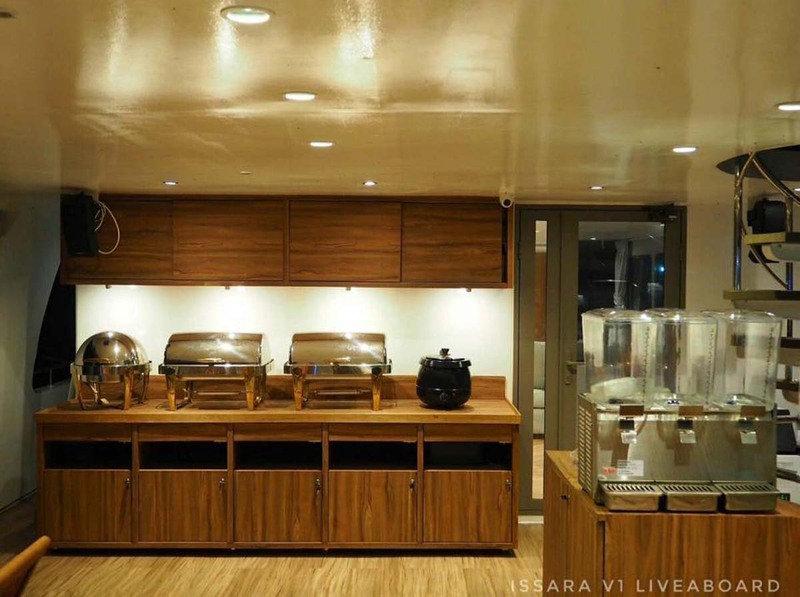 Sorry MV Issara VI is no longer sailing/ not running trips. 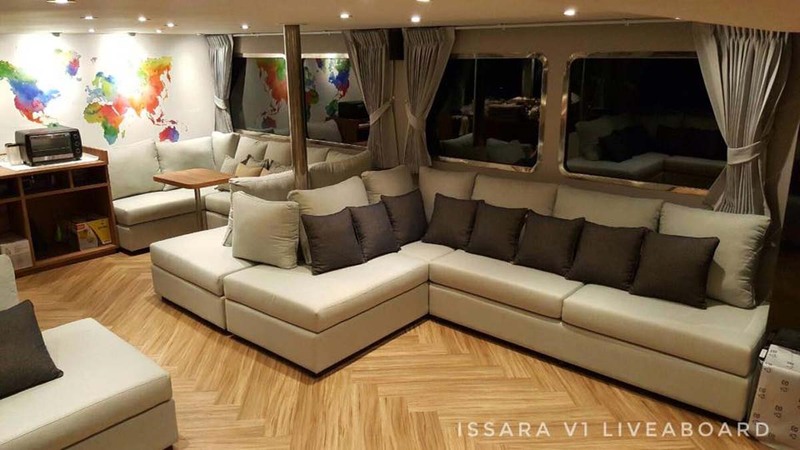 Among the largest and most luxurious of Thailand diving liveaboards, Issara VI is a new boat in 2016 that was specifically designed for its itineraries & number of guests. 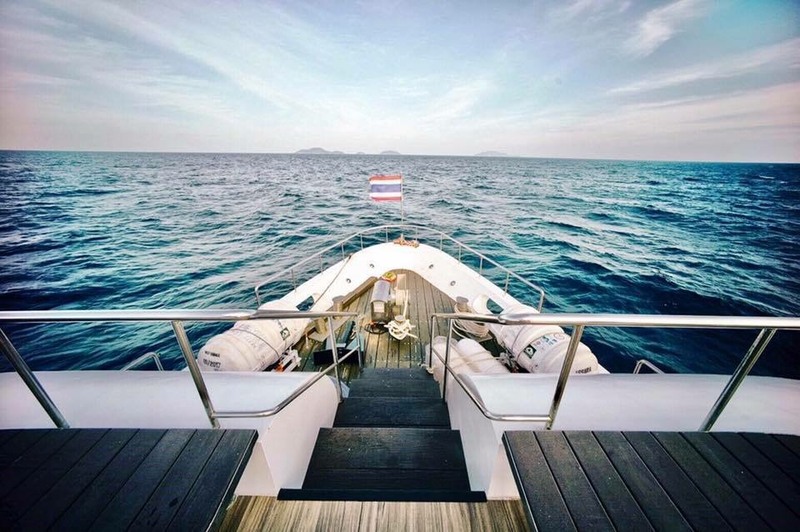 The boat offers the best balance of comfort & luxury, with the trip lengths & prices perfect for a Hin Daeng or Similan Islands diving cruise. 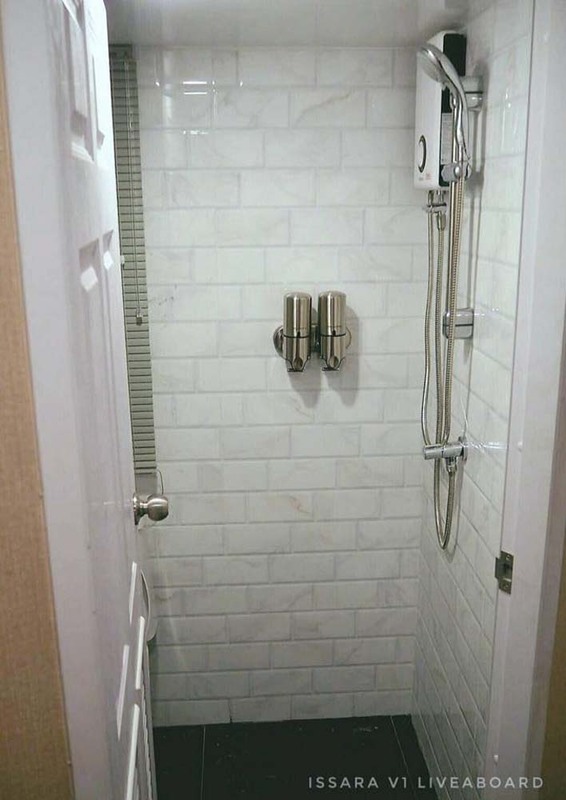 The size, design and construction fit perfectly for the number of guests. 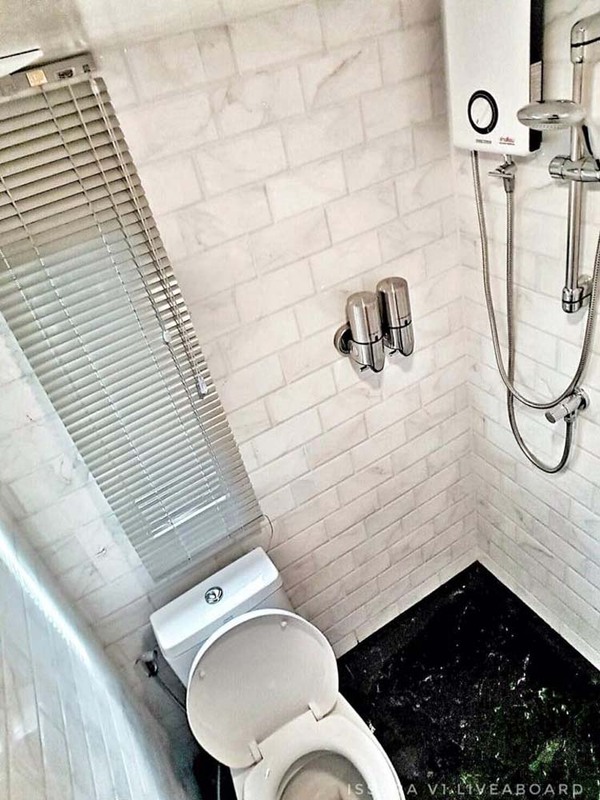 And each cabin has a private bathroom and several other amenities likely to be found in a luxury hotel. 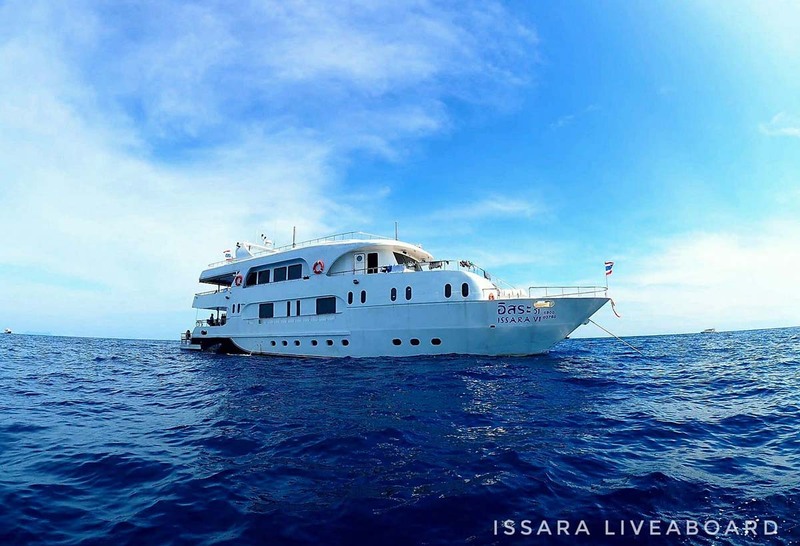 Issara is nearly 30 metres in length, more than 6 metres wide, and its hull is made of steel. 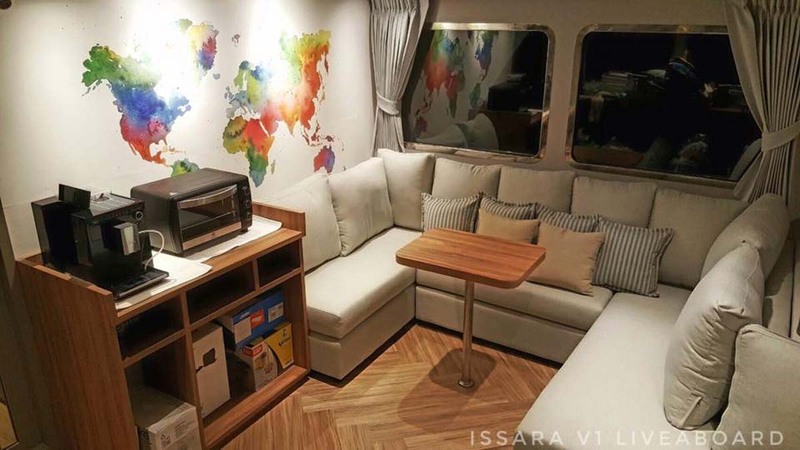 It’s not the largest Similan liveaboard but its design and limited guest capacity ensures that the most is made of every inch. From the elegant cabins to the Jacuzzi on the sundeck, every space on this marvellous boat is a pleasure to spend time in. 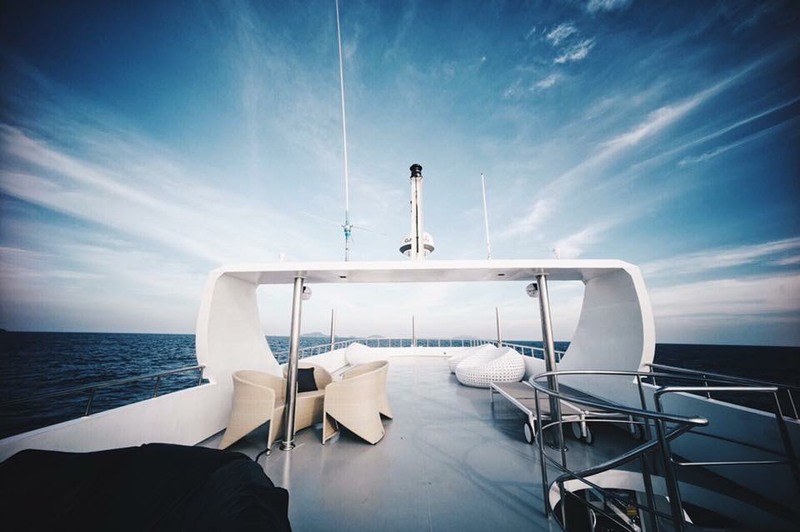 In addition, the necessary features, such as the dive platform and machinery is all designed and located to be of minimum inconvenience to everyone on board. 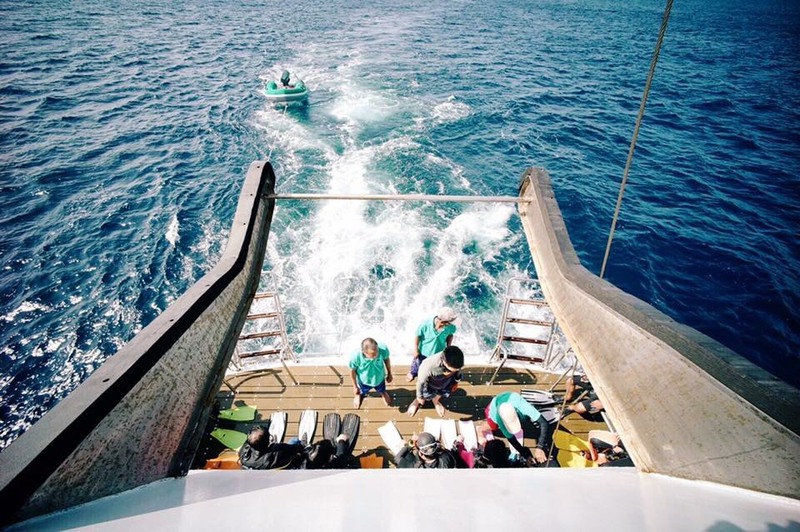 From top to bottom it’s one of the best Similan Islands liveaboard diving boats. 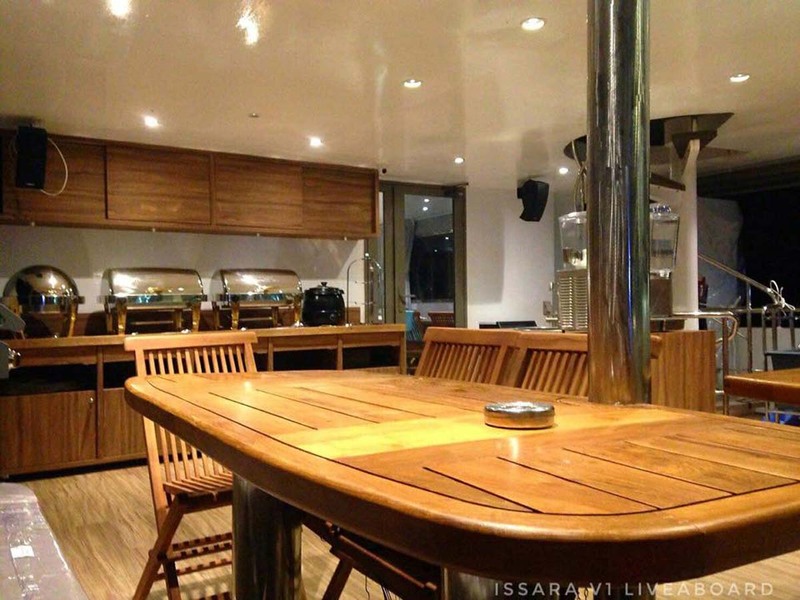 Taking up to 22 guests, Issara has 11 luxurious cabins. 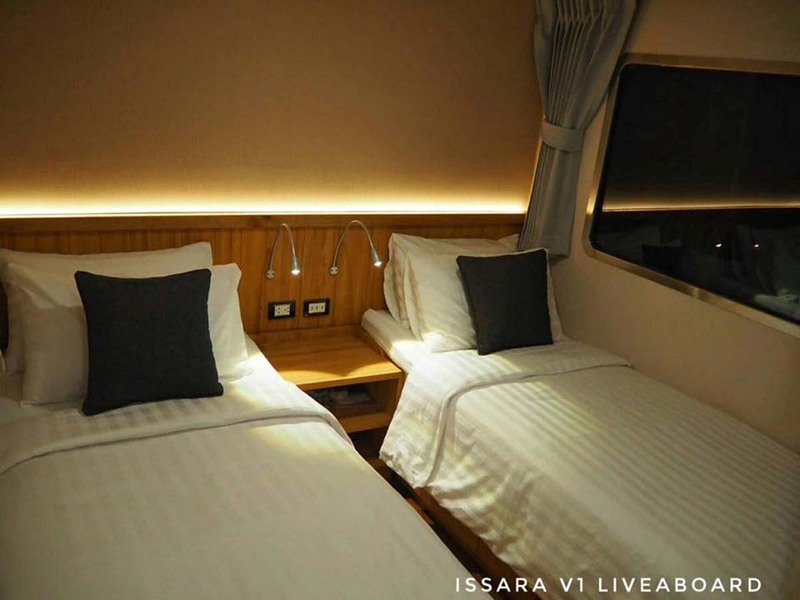 These are three standard twin cabins, six deluxe cabins and two master cabins. 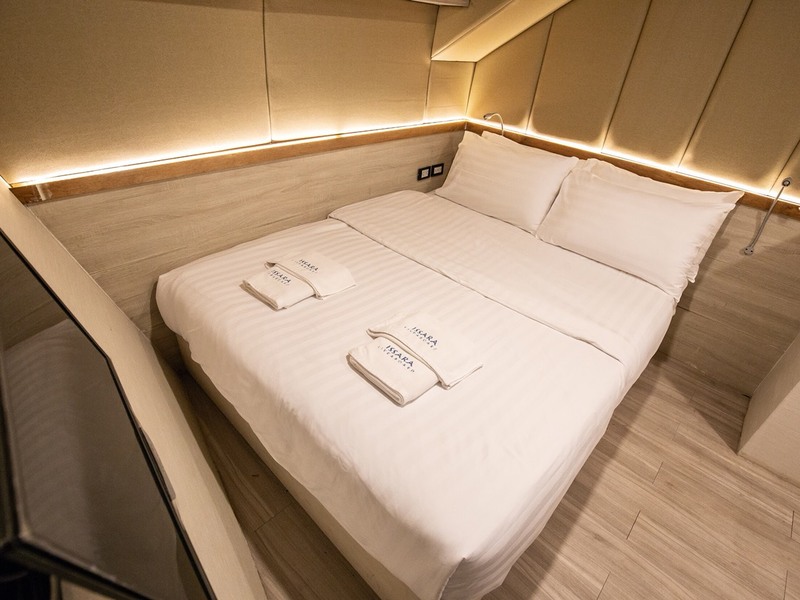 Each air-conditioned cabin has a host of facilities, which include flat-screen tv, USB and 240v sockets, reading lights, hair dryer, hotel-like locking & switches, and of course a private en suite bathroom. 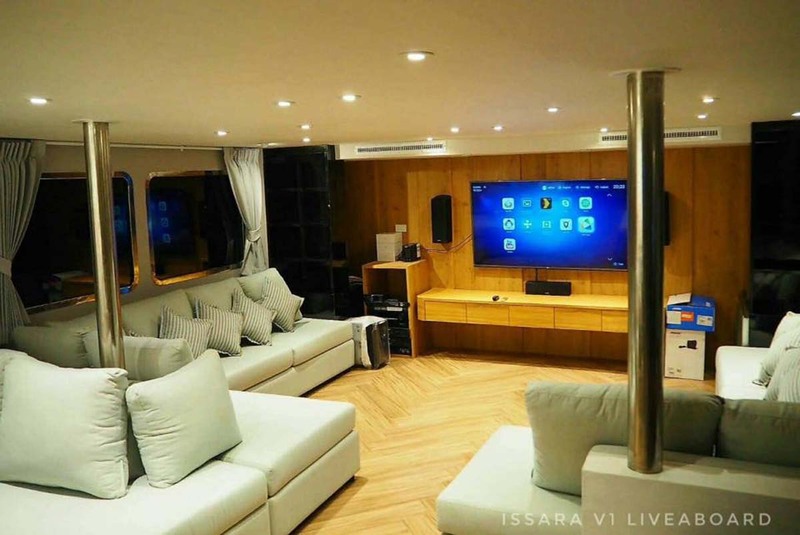 The large and luxurious lounge saloon is also air conditioned, and has plenty of space to relax, and a huge tv. 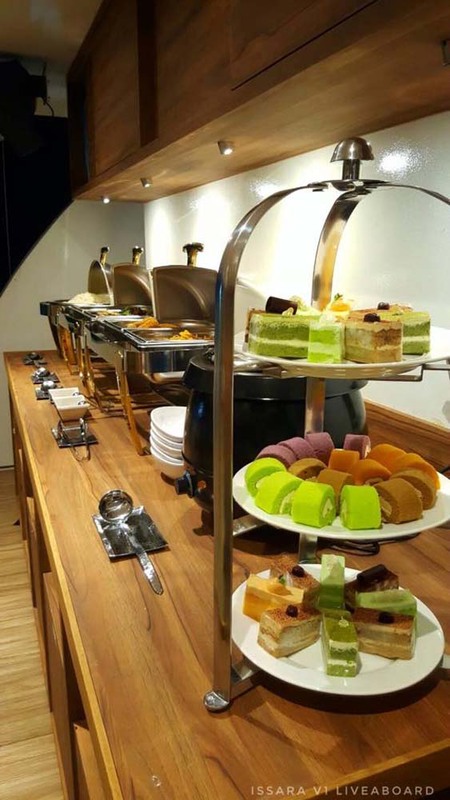 But most time is spent out on deck, where there are several wonderful areas for guests to enjoy the sea breeze and the simply delicious food that is served throughout the trip. 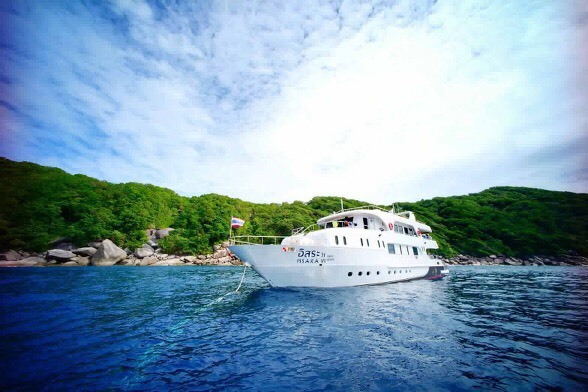 Divers on Issara can enjoy convenient diving, as the boat has high-quality diving equipment for rent, plus Nitrox and a motorized dinghy that can retrieve divers and take guests to the pristine beaches. Of course, there is a full set of safety equipment throughout the ship, as well. 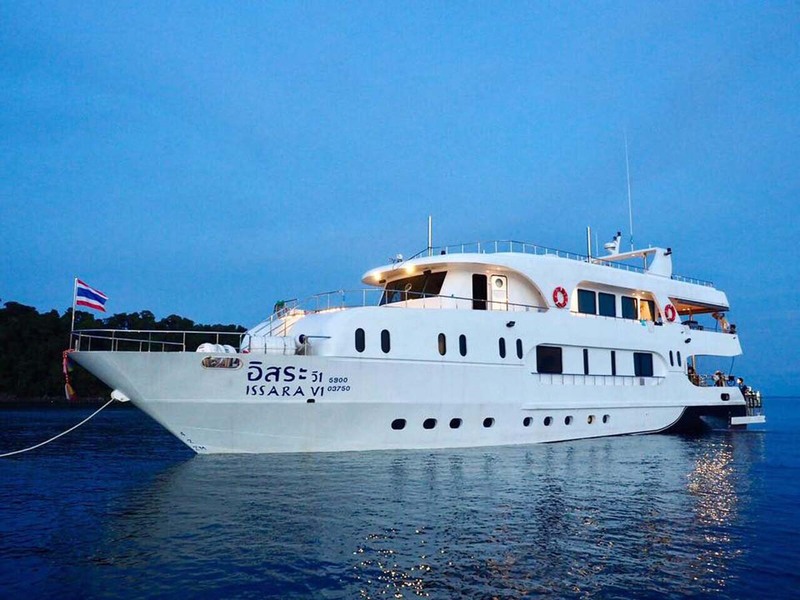 Unlike most diving liveaboards in Thailand that stop for the low season, Issara moves around to the Gulf of Thailand, offering trips to Losin and Koh Tao. 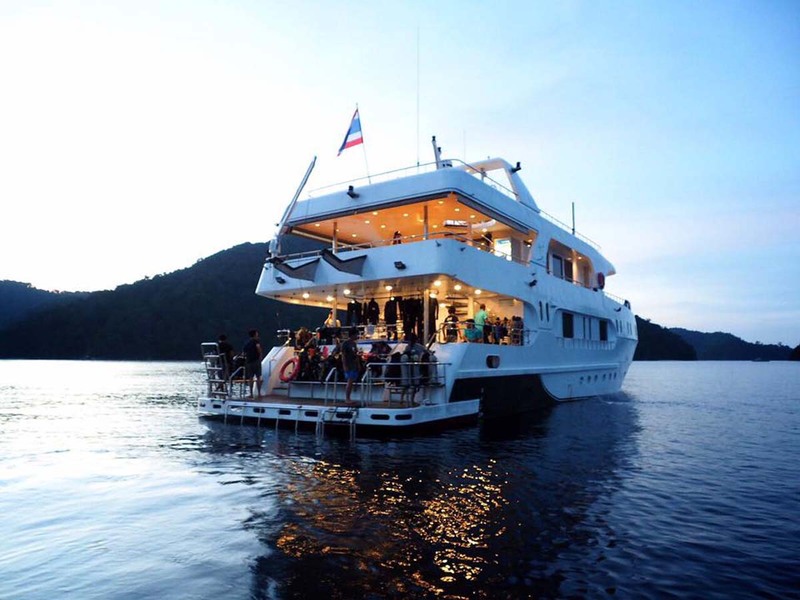 Also there are trips that include Hin Daeng, Koh Haa, Phuket and Similans & Richelieu Rock. 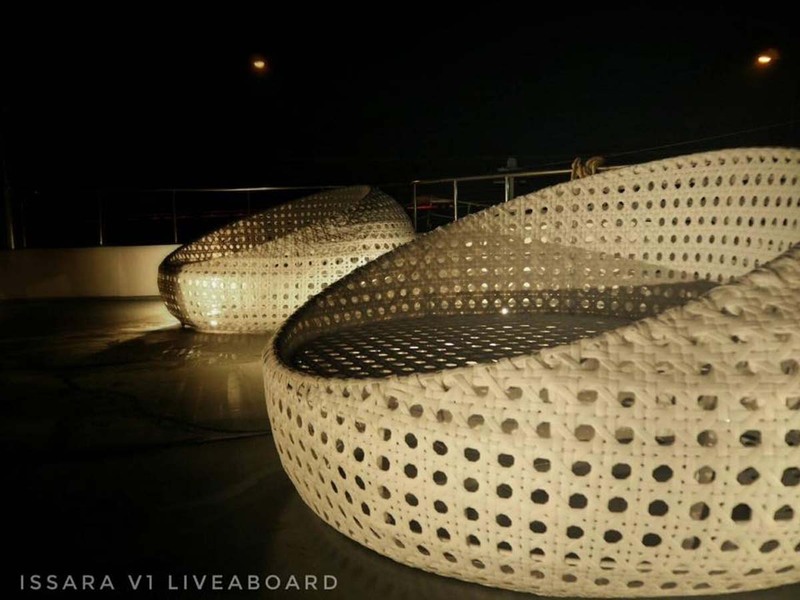 This boat has everything! 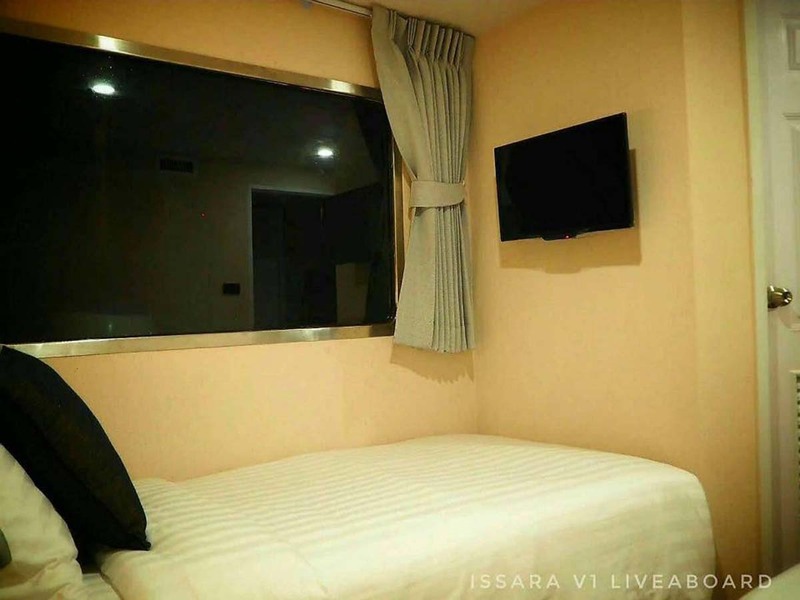 Please note that Issara's schedule is quite flexible. 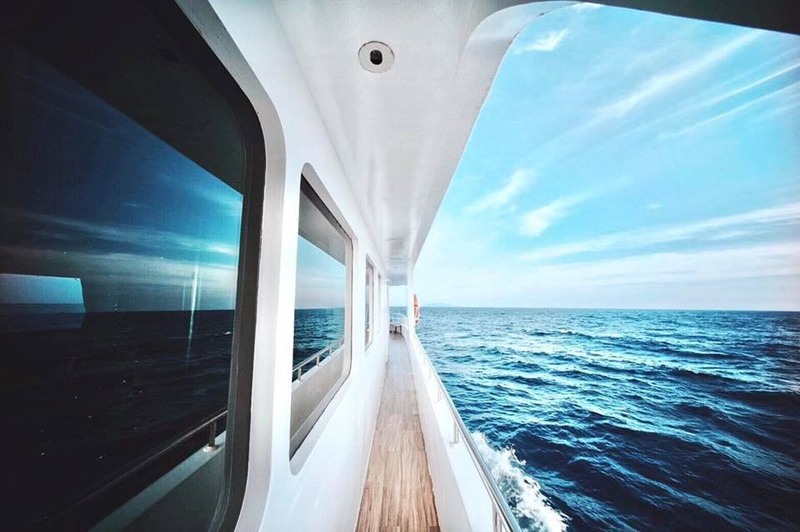 This means that some trips' dates change before they take bookings, and sometimes the owners decide to only sell to a full charter. It's very difficult for us to monitor which trips are available and which may have changed. 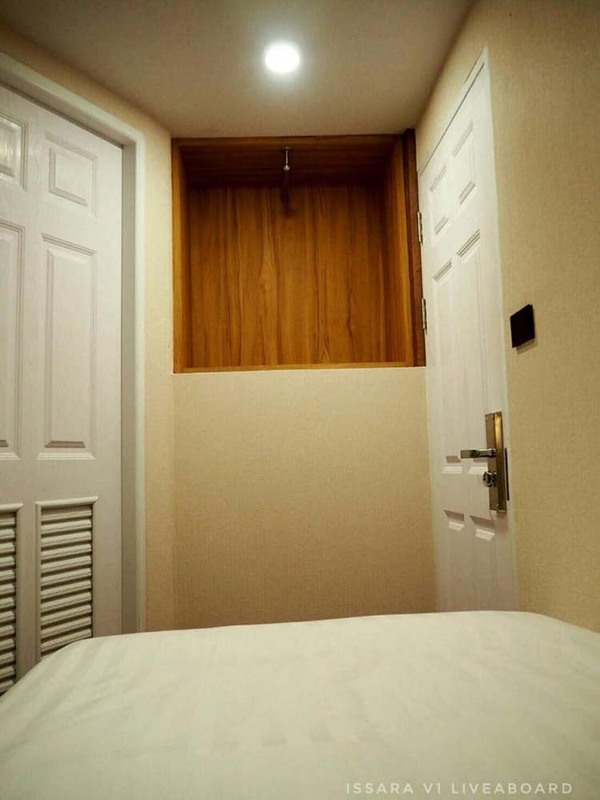 Therefore, please let us know when you want to go and we can immediately inform you what's available. 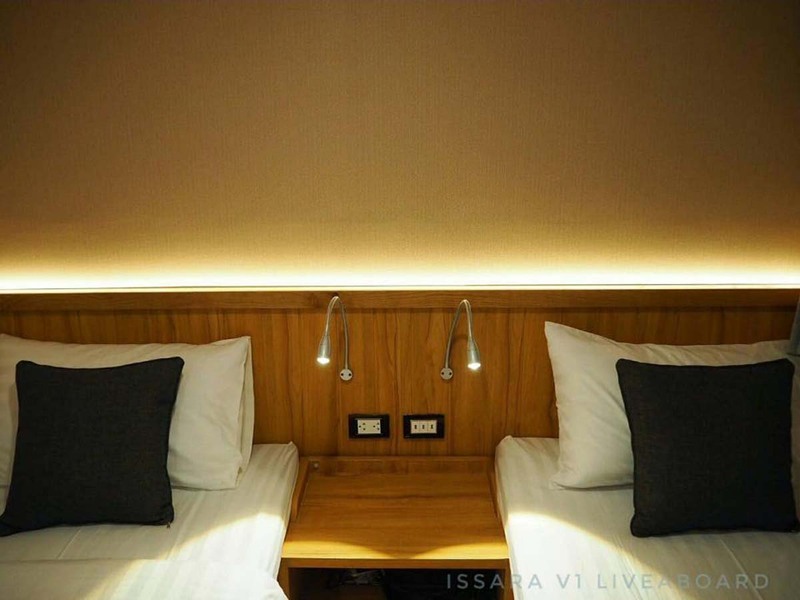 Issara has several itineraries, which include Similans & Richelieu, Hin Daeng & Koh Haa, & a combination of those two. 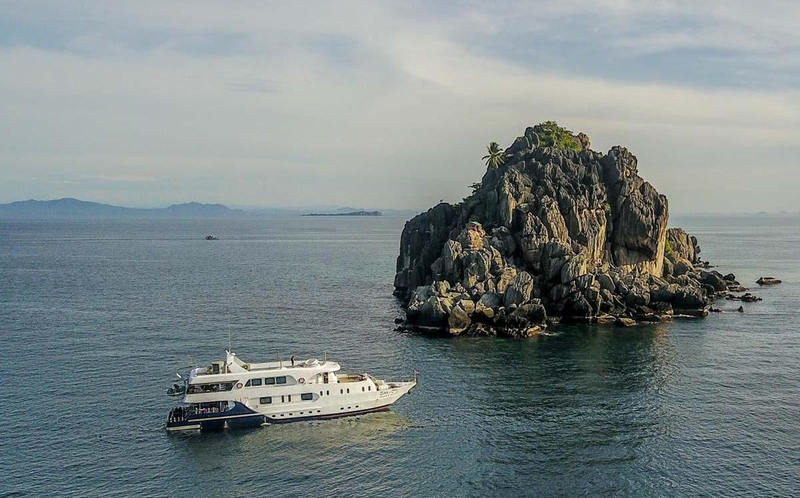 In addition, during the low season on the Andaman coast, the boat sails around to the Gulf of Thailand for liveaboard diving cruises to Koh Tao & Losin. Please carefully select the itinerary below that matches the destinations of your chosen/preferred trip. Engines: 2 X 450 HP. Generators: 2 X 90 Kw. 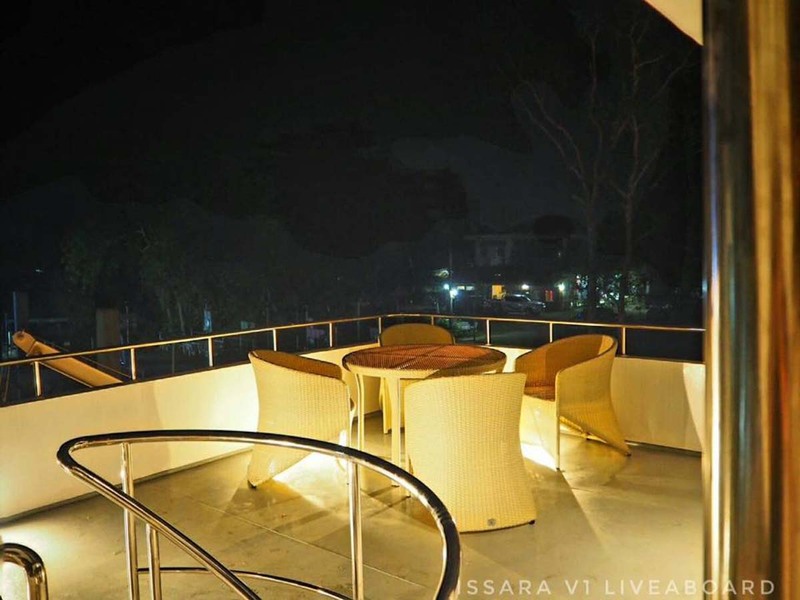 Entertainment: 6.5 X 10 Meters Shaded Entertainment Area, TV / Video. Dinghy: 1 X 4.9 M.
A selection of diving courses is available on Issara, but these normally need to be pre-booked in advance. Please make sure to check first if you would like to extend your diving certification on board. 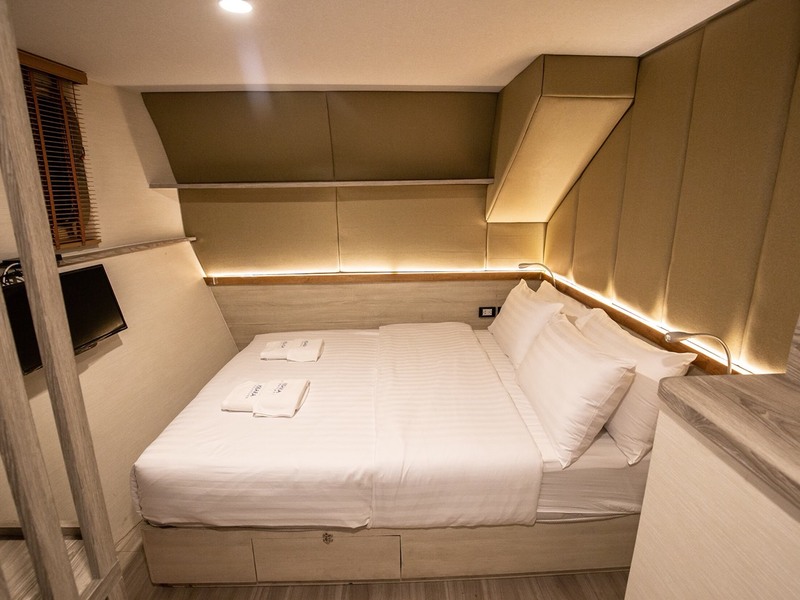 Scheduled transfers from local hotels are included in the prices. This includes Phuket airport for trips which depart from Phuket (Similan, Hin Daeng etc). 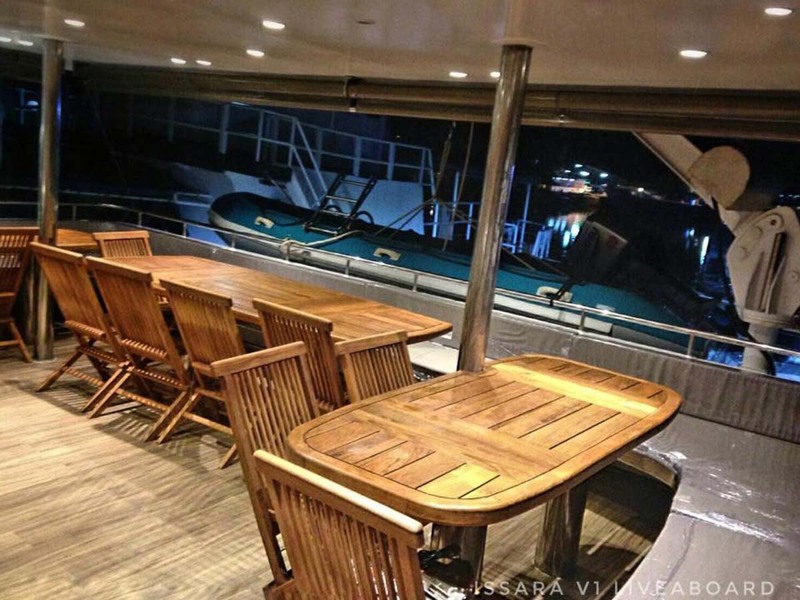 Transfers are shared with other Issara guests and are at set times to meet the departure and return of the boat. If you require or prefer a private taxi, please let us know at least 48 hours in advance.